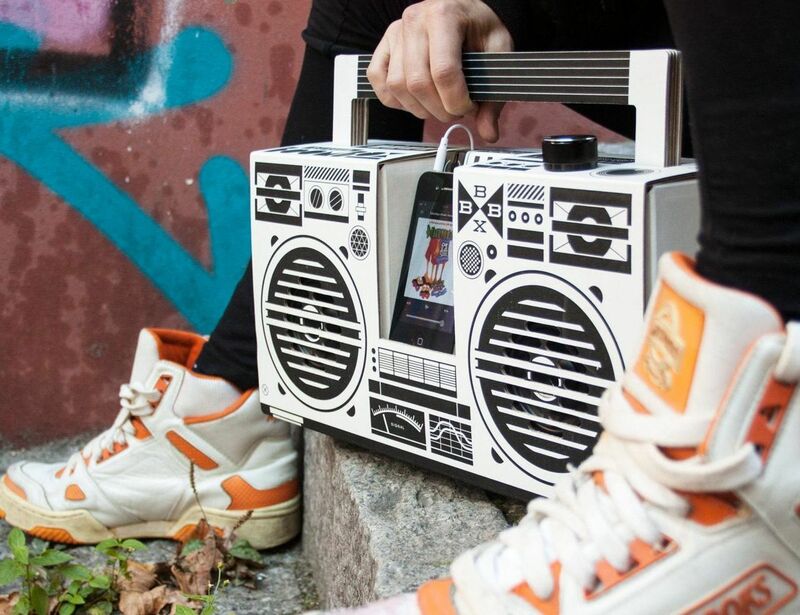 The Berlin Boombox is designed by Berlin-based designer & illustrator Axel Pfaender. 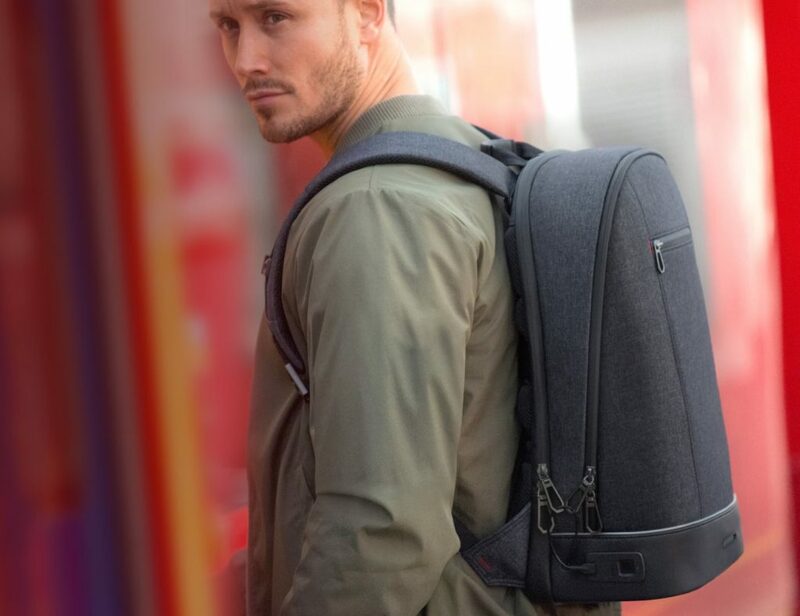 He decided it’s time for a cool and fun MP3 sound system something you want to show off, like back in the day. 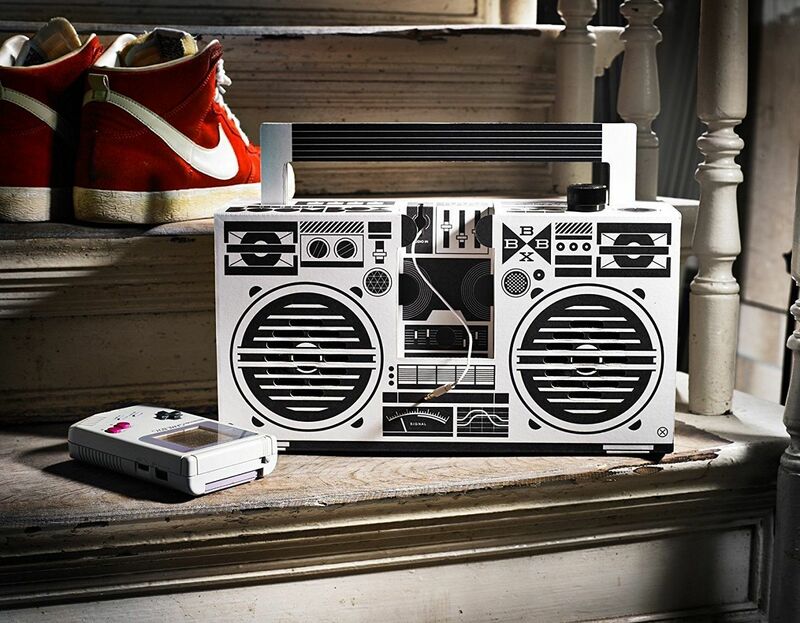 It’s a contemporary take on the design of oldschool boomboxes. The minimalist graphic art in black and white makes the Berlin Boombox a real eye-catcher. 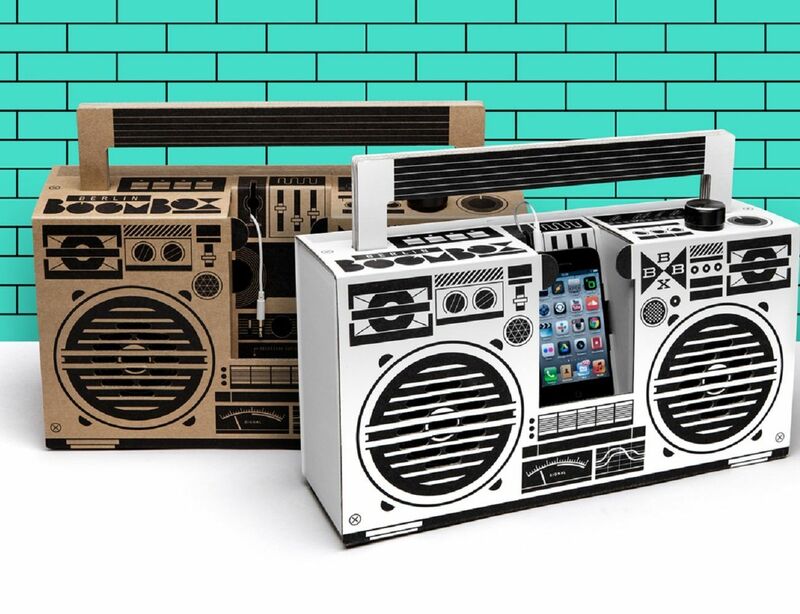 The Berlin Boombox is made from heavy corrugated cardboard and features a strong carrying handle and a single big knob for power and volume. 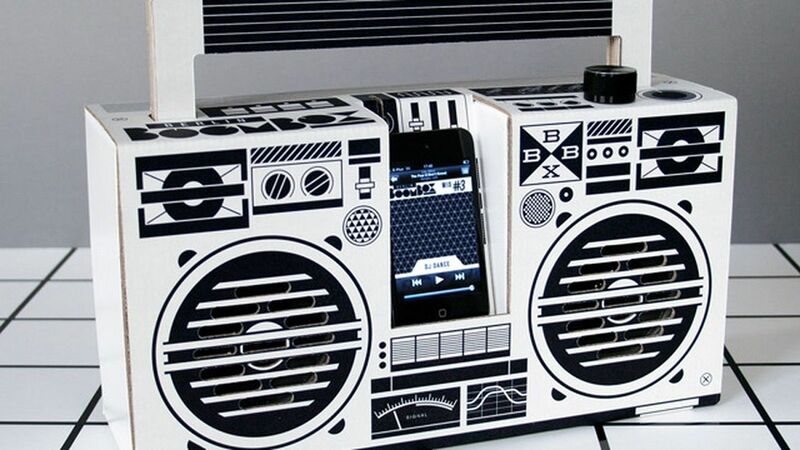 The Berlin Boombox comes as a kit consisting of a die-cut cardboard structure and all electronic parts. 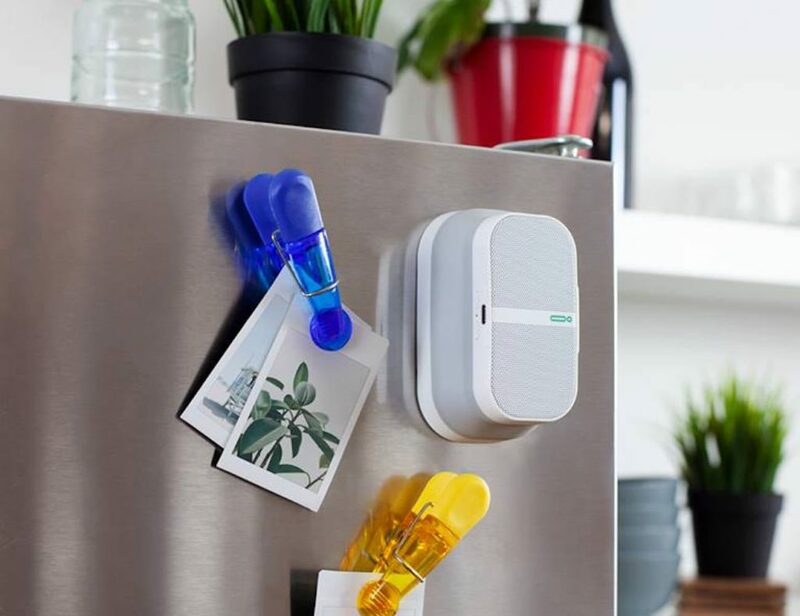 Assembly is easy, glue-free, tool-free, and takes only a couple of minutes. Don’t worry, no geek knowledge necessary. 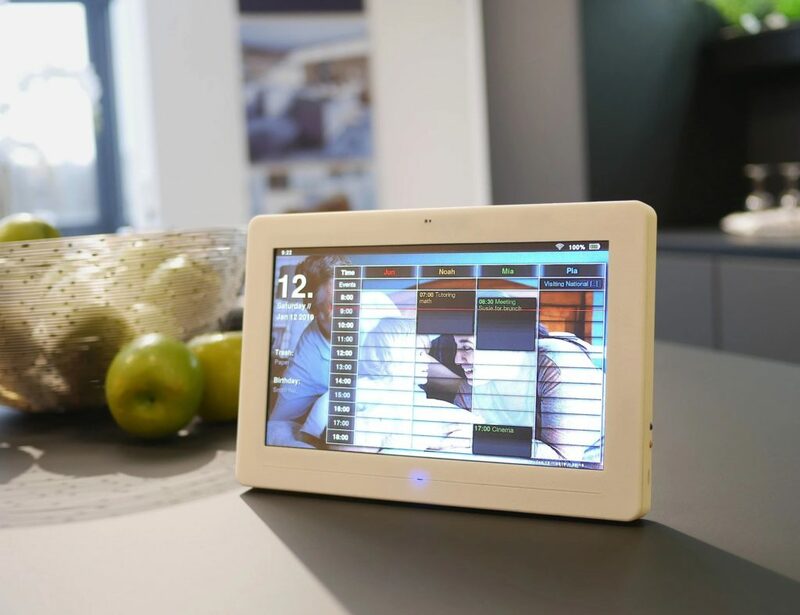 A construction manual is included with the kit and guides you step-by-step.